Quartz Countertops Cost - How Much Quartz Countertops Cost. How much quartz countertops cost? Quartz countertops bring an elegant style, a sense of durability and beauty to your home. 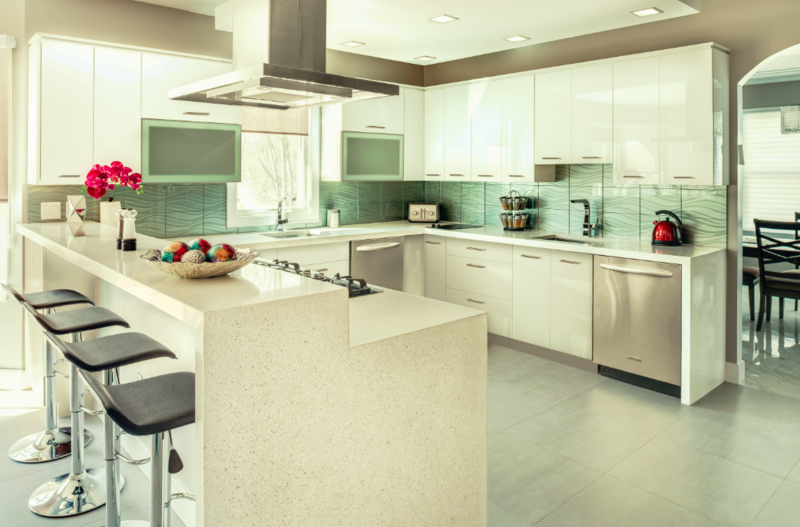 The cost of quartz countertops differs from one manufacturer to another, however, in general, the price of countertops varies from $40 – $100+ per square foot. For you to have the best deal on the installation as well as materials of countertops, it is advised to compare quotes from different providers. But at the same time, make sure to choose the provide who will deliver the best results. Quality of fabrication and installation matters a lot. Make a comparison of the quality as well as the physical look of some products they furnished. You may also want to check the credentials and experiences of some providers like Supreme International USA together with the prices of the countertops they offer. The more you know about the quartz countertops, the better prepared you will be to select a product and supplier that is right for you. Professional company will be able to provide all necessary information about quartz countertops cost, explain differences in material, help choose the right color and style. Choose the best fabricator and installer. You can view which projects the company installed before, their rating, how professional their site is. We will provide the cost for template, fabrication and installation. Our company will be with you from start to finish.